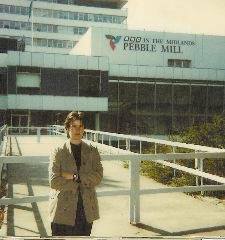 My first BBC job….1988-89…researcher at Daytime Live. Great days, great people: Simon Shaw, Mary Clyne, David Morgenstern, Vikki Kimm, David Lancaster, David Weir, Alan Titchmarsh, Judi Spiers….loved the Friday baltis with the team in Moseley. A wonderful place that welcomed this young Irish woman from RTE. Fond memories.